2 Bedroom/2 Bath Townhome located in Engelbrecht Place subdivision. 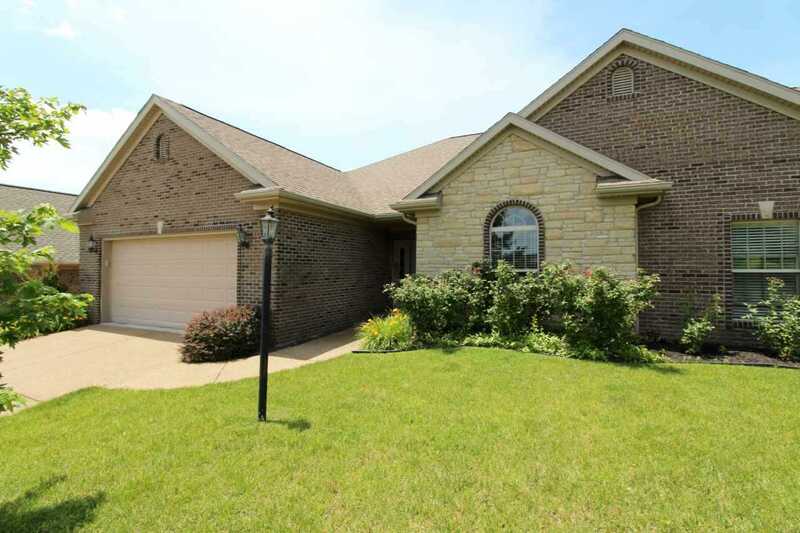 This brick & stone home was built in 2011 and features an open layout with tall ceilings. Kitchen is upgraded with granite counters, stainless steel appliances and has an eat-at bar. Large open living room features a gas log fireplace and tons of space. Enclosed Sunroom has carpet, double paned sliding windows and is currently being used as a home office, adding an additional 150 square feet to this home. Master suite features a double vanity, step-in shower & two walk-in closets. Outback is a fully fenced in yard with open patio and deck space. 2.5 Car Attached Garage. SchoolsClick map icons below to view information for schools near 3765 Taylor Drive Newburgh, IN 47630.